Interested in cooking? Sign up by clicking the tab below! 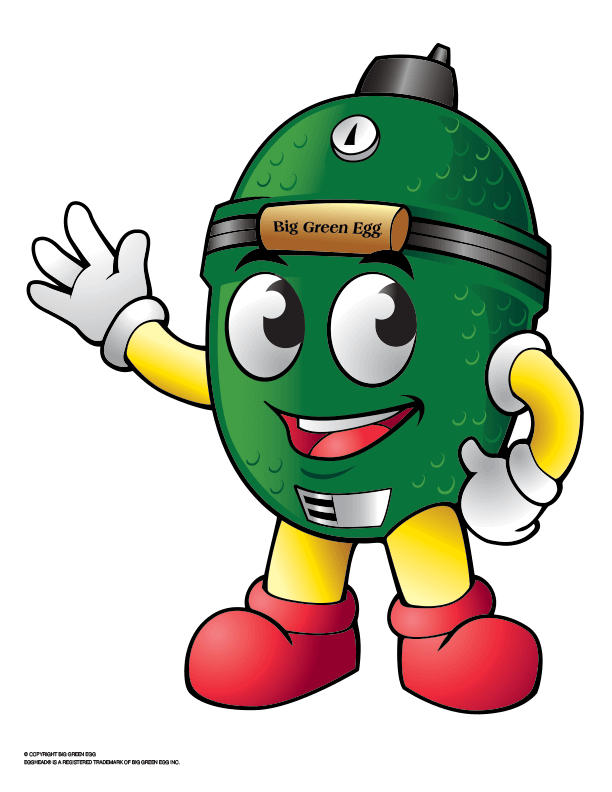 You’ll love EGGfest because it’s an event all about the Big Green Egg. 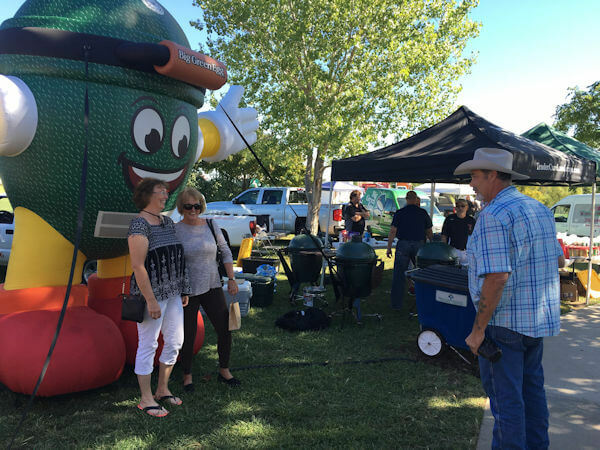 You’re invited to join the “EGGheads” (Big Green Egg enthusiasts) who travel from all over the United States to participate and share in the fun. This event is for you, your family and your friends! 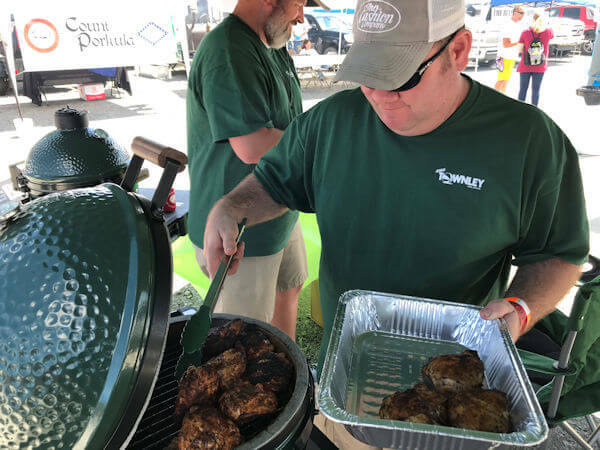 Whether you own a Big Green Egg, or you just want to sample a wide array of recipes cooked on the EGG, this event is for you. Sample breakfast, lunch and dinner fare including desserts! Most importantly, this is a charity event that directly benefits the Arkansas Foodbank. All net proceeds from the 2019 EGGfest go directly to this organization that is dedicated to providing hungry Arkansans with more healthy and nutritious food. For more information about the Arkansas Food Bank, go HERE! Please join us for our inaugural festive and meet like-minded people who love great tasting food on a beautiful fall afternoon. The food is arriving hot and ready off the EGGs all day long, so plan to spend some time with us so you can taste something from all of our EGG chefs who are happy to tell you just why their dish is the best. We suggest tasters arrive between 10 am – 11 am to experience the full Big Green EGGfest adventure. Food comes off the EGGs all day, so you’ll find food whenever you arrive! 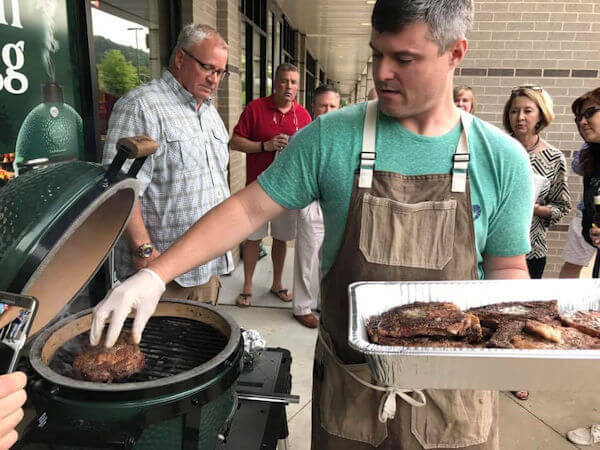 When you leave, we bet you’ll understand why the Big Green Egg is often copied but never matched in culinary excellence! Early-Bird “Taster Tickets” are available through October 1. 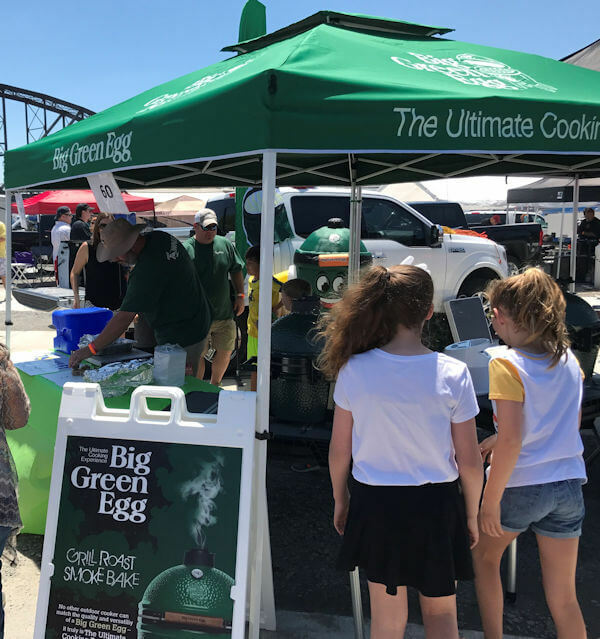 With your ticket, you have access to unlimited food samples from all of our cooks who are creating special recipes on the Big Green Egg. Taster Tickets are $15 the day of the event. Buy them early, and your tickets are just $10. Children 12 and under are admitted to the event for FREE! Day of the event admission is $15 per individual and is available in our store. Parking is easily accessible in our parking lot. The 2nd Annual Townley Pool and Spa EGGfest takes place Saturday, October 12, 2019, from 10 am to 4 pm. Townley hosts the event at our retail location at 12911 Cantrell Rd, Little Rock, Arkansas. The Arkansas Food Bank is the beneficiary from all net proceeds from the EGGfest tasting tickets. Come cook for the day and enjoy being with other EGGheads sharing recipes, delicious food, and good company. 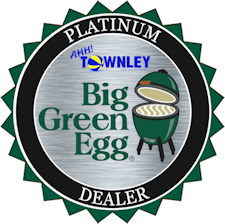 Townley provides at least one Large Big Green Egg for cooking and possibly an additional one if more are sold (charcoal, lighter cubes, and water are provided. Cooks need to bring convEggtors/placesetters (if needed). vehicles/trailer, and set up their cooking stations. We have ample workers on-hand to help you unload everything you need. Cooking teams should consist of 1-2 Team Captains with additional helpers. Teams receive a generous SWAG bag plus gift cards to help offset expenses. We will also host a Cook Team Meet & Greet at Larry’s Pizza for up to four team members (additional buffet dinners may be purchased separately). This takes place October 11, from 6-8 pm just down the center from our location. Interested in hearing about this special when it comes out? Leave your name, phone, and email, and we’ll get back to you! Thank you! The following hotels are conveniently located near Townley Pool and Spa. EGGfest is for the kids, too! To get them excited, please click on Mr. EGGhead to download your very own coloring page!